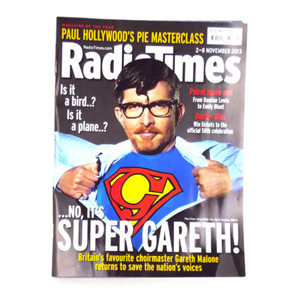 Our selection of TV listing magazines will help you to keep up with what's happening on all your favourite TV shows back in the UK. If you are wondering what your favourite characters from EastEnders, Hollyoaks, Coronation Street or Emmerdale are up to, then you're in luck! These mags contain details about all the comings and goings in these much loved soaps. These days you can watch your choice of television shows online any time of the day or night. A TV mag can keep you up-to-date with all most recent behind the scenes gossip, then you can log into iPlayer or 4oD and watch the latest episode. The good news is that we keep the latest editions of all these magazines in stock, so instead of falling behind or missing our completely, you can stay on top of all your favourite shows.